The government programme implementation plan continues to remain as a secret. This was decided after today‘s cabinet and coalition representative meeting. The plan will be unveiled on March 1st, when it is posted on the legislation information system. The presentation of the government programme has long been criticised by opposition powers for a lack of specifics and clear steps. It was also met with criticism from the public for once again the same lack of specifics, TV3.lt reported. Incumbent leader of the Social Democrat Party and former PM Algirdas Butkevičius assured that it was decided to not speak publically on the planned measures prior to them being announced. “I do not wish to speak on the plan in more detail because it is a project for a project, as the Prime Minister put it. Any information released to the public, it will be interpreted based on their own opinion. There have been many questions presented, the document itself has been carefully prepared and the five priorities are very important to outline,” Butkevičius said. “For now there is no talk about taxation. The Minister of Finance has clearly stated that he has to further review the system and he will then present specific proposals,” the Social Democrat Party’s leader said. PM Skvernelis, however, revealed certain details from the plan which will be released to the public on Wednesday. By law, when the Seimas passes the government programme, the cabinet has three months to present priority measures of implementation. “Speaking of priorities, you will have to wait for the implementation plan to be presented, then you will see what measures will be put in place this year and when they will be completed,” the PM told journalists gathered in the cabinet building. When asked whether specialised alcohol stores will be opened next year, Skvernelis answered with a categorical no. As for when it will actually happen, he stated, that he simply cannot answer when exactly this will be done. The reduction of inequality and social segregation will also be pursued. “We have presented a project of a project, certain metrics and dates do not yet match,” PM Skvernelis refrained from going into specifics. For now the government programme implementation plan still has the aim to delay the implementation of the newly amended Labour Code to July this year. “There are plans to speak of the whole public sector’s reform. Regarding the public sector, there are separate measures to be implemented throughout the term,” Skvernelis mentioned. 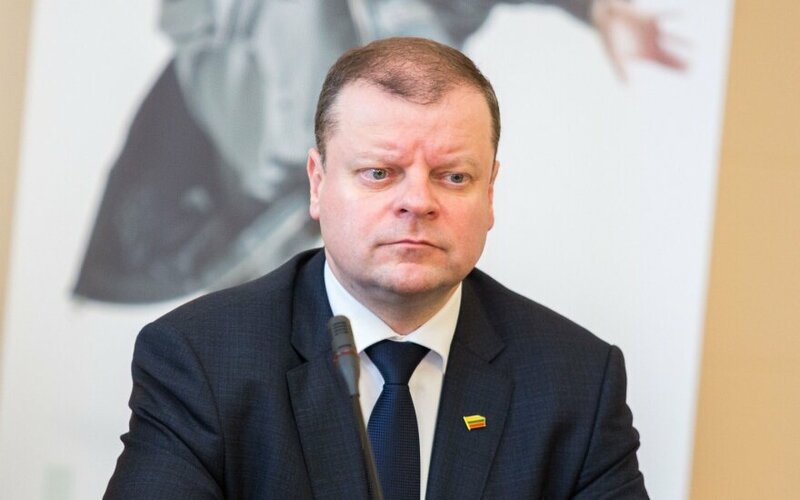 When asked if members of Seimas will bring forward further changes, Saulius Skvernelis stated that he expects proposals. “I believe that it will definitely happen and there were already proposals and specific thoughts during that hour today. We will see based on their activity. This is because the proposals cannot clash and oppose the government programme. At least for opposition, we received none of that. Most of the Seimas approved the government programme, this is already support,” PM Skvernelis stated. He was also unwilling to answer the question of what topics attracted the most suggestions from members of Seimas. “All of them,” the Prime Minister responded. “There is a need for postal service reform. Reform is needed everywhere that is related to the efficiency of government owned companies. This will be done by the Minister of Transport and Communications, who are the owners of this company. But there is definitely need for change. I have not heard that anything would have been halted by the chairman of the Culture Committee,” the politician said. Why are the Social Democrats fighting forestry reform?